Ireland is a favourite destination for thousands of people but for many, autumn is the time when she really shows her true colours. 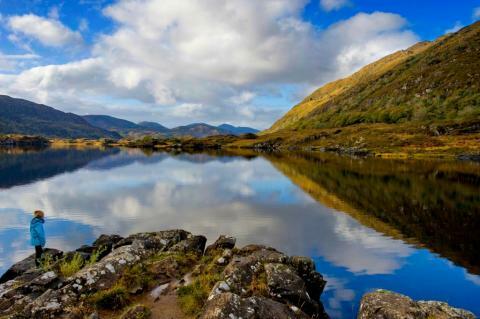 And with The Gathering Ireland still in full swing and a series of other surprising and inspiring events happening all over the country – plus ferry good travel offers from Stena Line – there is no better time to plan an Irish adventure. Tourism Ireland has joined forces with leading ferry company Stena Line to let people know about their great-value lead-in fare of just £79 single, car and driver* and their hotel breaks which start at just £59 per person per night*, including ferry travel and breakfast (based on a two night stay). And bargain hunters take note – you can’t buy the travel and accommodation separately for less. Good news for families too as just ahead of the autumn school holidays kids travel and stay free on all Irish Sea routes with a Stena Line hotel break. Diane Poole OBE, Stena Line’s head of PR and Communications, said: “Our latest hotel deal is one of our most competitive travel offers. And if mums and dads are smart they can potentially save hundreds on the cost of their car-cation as we’re also offering kids travel and stay for free on selected hotel breaks”, said Diane. Diane continued: “Travelling by ferry is increasingly recognised as one of the most relaxing and cost-effective ways to travel. No baggage restrictions means people can pack it all in and enjoy the freedom that taking the car on holiday gives you. Our ports in Britain are at Cairnryan, Liverpool, Holyhead and Fishguard – so we act as a gateway to Ireland for thousands of people with entry ports the breadth of Ireland’s east coast. 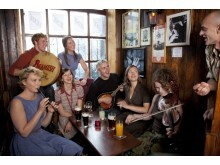 Other highlights include the Galway Comedy Festival, 22 – 28 October; Wexford Festival Opera, 23 October – 3 November; the year-long series of events celebrating Derry~Londonderry’s City of Culture 2013 status; and Belfast Music Week, 11 – 22 November, to name a few, as well as the continuing The Gathering Ireland which has been attracting people from around the globe with a link to Ireland or just a love of the country to come and experience some truly unique events. To book your ferry-inclusive hotel break to Ireland with Stena Line from just £59pppn* (based on a 2 night stay with breakfast) plus KIDS STAY FREE log onto www.stenaline.co.uk/Ireland, call Stena Line Holidays on 08445 768889 or visit your local travel agent. Or simply go as you please and getaway the easy way with Stena Line’s £79 single car and driver fare – for further information call Stena Line on 08447 707070 or log onto www.stenaline.co.uk. Price valid until 20 December. MEDIA ENQUIRIES: For further information, please contact Michael McCrory of Duffy Rafferty Communications on 028 9073 0880. Stena Line operates the biggest fleet and the widest choice of routes between Ireland and Britain with an extensive route network including Belfast to Cairnryan, Belfast to Liverpool, Dun Laoghaire to Holyhead, Dublin Port to Holyhead and Rosslare to Fishguard.